The concern over vaping has continued to build as e-cigarettes have become more popular, especially with kids and teens. Vaping — inhaling liquid nicotine vapors — was first marketed as a way to help adults quit smoking. But younger people, including tweens, quickly seized on it as a way around conventional cigarettes, some attracted by the candy flavors and colorful packaging. Some researchers have reported that vaping is just another road to nicotine addiction. The threat to children’s health starts early. 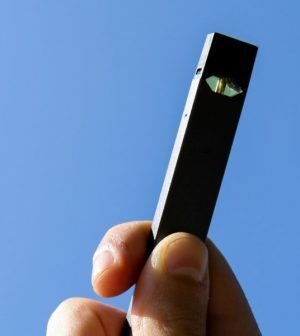 The U.S. Food and Drug Administration has recently ramped up its response to kid-friendly marketing tactics of manufacturers and illegal sales of e-cigarettes to kids. Parents must also do their part by talking to kids about the dangers of all cigarettes from an early age. Discuss the ads they’re likely to see and demystify their appeal. Explain that some movies and TV shows still glamorize smoking. And enlist other adults who your kids admire — family members, friends and neighbors — to help spread the message. Learn about the FDA’s recently created program, The Real Cost, designed to bring more awareness to the perils of vaping.